Are you looking for ways to beat writers block? Does writing seem like a chore and fill you with dread? Are you doomed? Has your imagination vaporised never to return? Are you losing your mind? At some point we have all been at a loss for words, but the good news is ....solutions are simpler than you think. 50 ways to beat writers block... try one or try them all. 26. Reduce noise distractions. Ringing or vibrating cell phones can quickly break your train of thought; leave these in another room until you are finished. Avoid loud music and sudden vocal distractions; or opt for a pair of earplugs if you are unable to do so. 27. Keep your eyes open. Take special note of billboards, newspaper headlines, photographs, advertisements and social interaction in a variety of venues. Anything peculiar, out of the ordinary or simply downright predictable can spark creativity. 28. Reference Books. Don’t forget the value of a good old fashioned “book”. Paging through some reference material and seeing physical words in print often provides inspiration. Keep a good thesaurus, concise dictionary, quotation books and a grammar guide close at hand and see what turns up. 29. Keep notebooks. Keep a selection of notebooks handy in a variety of locations. When an idea strikes write it down immediately. Remember to glance through these ideas when you need some inspiration. 30. Get organised! Keep all your stories, photos and other pieces of inspiration in a centralised location. You are more likely to follow up an idea that is at your fingertips. Scattered pieces of paper often get forgotten or cannot be found when you need them. 31. Start a bulletin board. Hang a bulleting board in a strategic place, keep posting anything that provides inspiration, lists of words that you often misspell, peculiar photographs, inspirational quotes, words of encouragement, visualisation board, pictures, noteworthy news pieces that are worth commenting on etc. 32. Work on an outline, summary or table of contents. 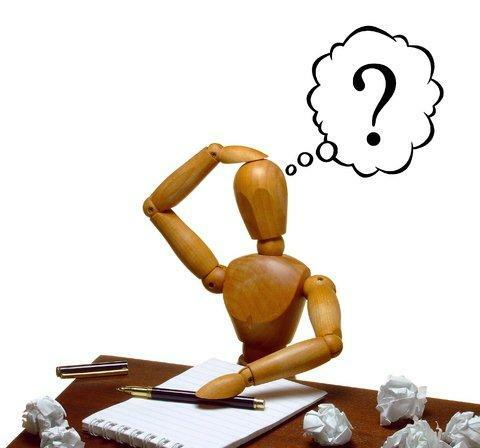 If you are unable to find the perfect words consider simply working on the outline or a table of contents. This might seem irrelevant but it works, your brain seems to be able to stay focussed when you are working according to a plan. 33. Start where you left off. Give your brain a starting point the next time you sit down to write by leaving the last few words unfinished. This will remind you of the direction in which you were headed, a simple yet effective technique. 34. Play games. Sit down with your children or some friends and start a story. Everyone gets 10 seconds to add their bit. It will be fascinating and enjoyable to watch the direction it takes. Make sure that you have a pen and paper handy to take notes. 35. Match your mood. Match your writing to your mood - whatever emotion you are feeling be it excitement, anger, despair, love or something else write about it. Is there a character in your story experiencing the same emotion? If not, create one. 36. Avoid a blank page. Sometime staring at a blank page or a computer screen can give you writer’s block. How will you find enough words to fill the page? So, avoid the blank page and start by simply writing the words “Chapter One” across the top of the page. Might just be enough to bamboozle your brain into believing that you know what’s coming next. 37. Give yourself a deadline. We seem to have the uncanny ability to get things done under pressure. The more time you have the less you get done. The brain seems to focus better under pressure, so set yourself a deadline if you don’t already have one and stick to it. 38. Use mind maps. Use simple mind maps to get all your thoughts and ideas onto paper. Link the unusual and peculiar ideas together to come up with a unique angle for a story or simply use the mind map as an outline and tackle each part as you go along. More brainstorming ideas. More ideas to help you beat your writers block. 25 more ways to beat writers block. Return from writers block to the homepage.